We are all drawn to certain colors. Some of us are even repulsed by certain colors. Some of these attractions are influenced by culture and some are just what we like. Whether or not we have an explanation for it, these colors do effect us and many cultures throughout the world have tapped into this and found correlations. Quite a few alternative therapies, such as Ayurveda, have used our relationship with these colors to help heal the mind and body. 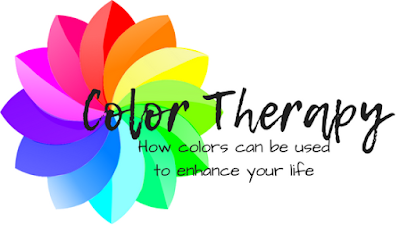 These therapies use the vibrations given off (or bounced off) by each color to improve healing, this is often achieved through the use of colorful cloths, baths, or stones. To some people, this may sound a bit wacky, which is understandable. However psychology and advertising have used these same principles to help sway people's emotions and moods for decades. You can also use these principles to help improve your life and mood by surrounding yourself with helpful colors. Red is associated with aggression, passion, energy, confidence, stimulation, movement, and intensity. Red raises blood temperature, stimulates appetite, stimulates circulation, and even raises blood pressure. Ayurvedic techniques use the color red to treat symptoms of anemia, fatigue, paralysis, and exhaustion. You can use many shades of red to enhance your environment. Red often makes a space warm and cozy, but if not carefully chosen, different shades of red can make a space feel claustrophobic and/or oppressive. Red is a great choice in areas of activity, to increase your energy levels. Try using red yoga mats, or wearing red when you are doing aerobic exercises. Try adding small pops of lighter shades of red, or pink, in the bedroom to stimulate romance. If you're having a family dinner, try adding a few bits of red to help stimulate everyone's appetite. Some studies also show that using red plates may stimulate appetite, but actually reduces the amount of food people can eat. Wearing a combination of red and black can also increase self confidence, try this at job interviews or when you need to speak in front of a crowd. However, it may be a good idea to avoid red when you are experiencing a largely emotional time, as red tends to bring out the more extreme emotions. Orange is often associated with energy, ambition, activity, socialization, change, happiness, warmth, stimulation, prosperity, and wealth. Orange gives the body vitality and has beneficial benefits on the digestive, and reproductive systems as well as on the lungs and kidneys. Often, orange is used to help stimulate creativity and improve mental clarity. It is also used, in Ayurveda, to help with thyroid problems and menstrual cramps. It has a freeing action on the body, often helping to relieve repressions and discouraging stagnation. Orange helps relieve depression and promote happiness and warmth. This makes it a great color for parties! The next time you want to stand out in a crowd, try wearing orange. You'll feel like the life of the party, and project those same feelings onto others around you. Or if you're hosting a party, try decorating with orange. It'll help your guests feel energized and excited, helping promote happy socialization. Overall, orange is a great choice for areas of creativity, helping stimulate your muse, especially when paired with shades of purple. However, it's not a good choice for the bedroom as it can be overstimulating and can lead to trouble sleeping. Excessive exposure to orange can actually lead to depression and aggravate sexual problems. Yellow is one of those colors that have very different associations in certain colors. In Asia, it is the color of heaven, which is why Chinese emperors were the only people allowed to wear it in certain points of history. In certain Western cultures, yellow is associated with cowardice. But overall, this color is cheerful, being largely associated with happiness, curiosity, optimism, laughter, hunger, intensity, caution frustration, vitality, and sunshine. Ayurvedic practices use yellow to help aid digestion and liver function, cleanse the body (as a decongestant and antibacterial), relieve rheumatism and arthritis, promote clarity, and improve communication. Painting a room certain shades of yellow can make it feel warm and open. Or try adding pops of bright yellow throughout your decorating. This can help to bring cheer and happiness into an otherwise gloomy space. Yellow is great for entrance halls, activity rooms, and places where you intend to do some studying as it helps keep you alert and promotes feelings of confidence. Yellow is associated with hunger, so can be used to stimulate appetite in those who need help with that. However, people tend to eat more when exposed to yellow, so if you're trying to limit your portions or eat healthier choices, maybe avoid yellow in the dining room and/or kitchen. Yellow is also not a good choice for areas of possible stress or the bedroom. It keeps our minds aware and awake, which can agitate symptoms of anxiety and reduce the amount and quality of sleep. Green is associated with nature, growth, fertility, envy, peace, renewal, and tranquility. Green creates a balance in the body. Ayurvedic practices use this color for heart and blood problems, as well as to reduce fever, stabilize weight, and calm the mind. Green encourages tolerance and understanding. This color is also very centering and grounding. The simplest way to utilize the color green in your own life is to take a walk outside. Surround yourself with trees and plant life. Pastel green is one of the most common colors for health offices, largely because of it's calming effect. When you need to center yourself and relax, try adding in some green. Take green clothes with you on your vacation to help you get the most out of your time of relaxation. Wear some green jewelry when you need to pray or meditate. Because of it's harmonizing nature, you can use it in just about every room and situation, either by bringing in some house plants or by adding a pop of green into your decor. Green is great for the bedroom, bathroom, kitchen, dining room, and really everywhere. Use it to balance out the other colors on this list, helping to dampen the stronger feelings associated with those bold colors. However, if used exclusively, green lead to inactivity and indecision. So don't use green as the basis for a monochromatic color scheme. Mix it up! Blue is the color of calm, serenity, focus, intelligence, wisdom, coldness, loyalty, uncaring, contemplation, and inner peace. Blue encourages independent thinking. In Ayurveda, blue is used to calm down inflammatory conditions, reduce blood pressure and heart rate, regulate sleep, and reduce fever. It also helps in the cases of bruising, eczema, rashes, sores, and several problems with the immune system. As well as relieving insomnia, migraines, and anxiety. Blue is appropriate for every room except those used purely for physical activity. Blue is especially effective in areas where study is going to occur, as it helps one to focus and helps reduce stress, anxiety, and migraines. Blue also encourages creative and independent thinking, so adding pops of blue when you need a creative boost is a good idea. It also conveys intelligence, so the next job interview you have, try wearing a bit of blue to emphasize your education and skills. Blue is another color that is popular for offices, particularly for health offices, due to it's calming effect. But don't use blue to excess, it can lead to a loss of compassion and to cold and empty feelings. Purple is best known, here in the West, as the color of royalty. It's also associated with creativity, spirituality, mystery, wealth, respect, wisdom, intuition, luxury, and compassion. Ayurveda associates this color with the eyes, ears, nose, and mouth. Using it to help improve the sinuses, reduce congestion, and calm the nervous system. It's also used to ease joint stiffness and reduce angina. Purple is a great color for prayer and meditation. Try adding a bit of purple to your contemplative and spiritual spaces. Add pops of purple to your wardrobe and rooms increase confidence and creativity. Use pale violet or lavender in your bedroom to improve relaxation and sleep. Overuse of purple, however, can lead to suppressed emotions and spiritual stagnation. Black is associated with power, authority, death, evil, strength, intelligence, and secrecy. Black is the total absorption of all the colors in the spectrum, this gives it strength, stability, and a sense of command. The strength embodied by this color is used for protection. In Ayurveda, black is used to stimulate a resistance to negative emotions. Black can be used to promote confidence and authority, which is why it's so effective when worn for business. When used with another color, black can enhance that color. It also helps to give space for reflection. Black works especially well when used with it's polar opposite, white. Together they help bring balance. When used singly, however, black can be overpowering and increase feelings of anxiety and/or depression. White symbolizes purity, goodness, perfection, light, innocence, sterility, ghosts, coldness, and emptiness. It is made up of all the colors, and is total reflection. In Asian cultures, white is the color of funerals and mourning, a symbol of endings and new beginnings. Ayurvedic practices use white to help reduce fevers, relieve pain, and calm the heart and emotions. White promotes clarity and illuminates our thoughts. It can be used with any color, though it makes certain shades of warm colors seem almost garish. White can also be intimidating when used singly, try breaking it up with pops of other colors. I hope this introduction can help you understand the role of color in your life. Please leave any questions or comments below.